Welcome to the first of what I plan to be a long series of Question and Answer posts. More than anything else, I love answering your questions. 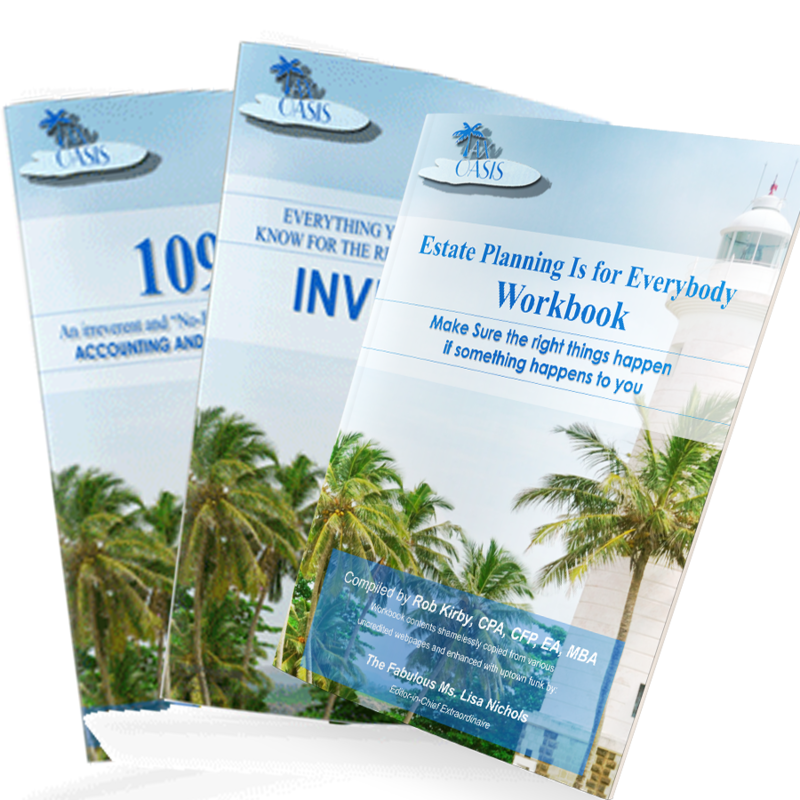 I hope that you find these to be of value and if you have questions you would like to see featured here, please email me at Rob@TaxOasis.com. Q: So, John and I have a question for you. We did not put any money into our retirement account and we aren’t sure if we should. As you may or may not be aware, we are looking to purchase a home. We would like to put a large down payment with the hopes of paying it off as quickly as possible. Is this a wise choice or should we deposit some money into our retirement account instead. Since we aren’t sure mathematically what is more beneficial, we figured we’d ask the math guru. What is your expert recommendation? Our income is about the same as the previous year. I can put about $12,500 into my retirement account, but I’m not sure if that money would be better dumped into a home down payment since our plan is to pay it off as quickly as possible. Any thoughts? 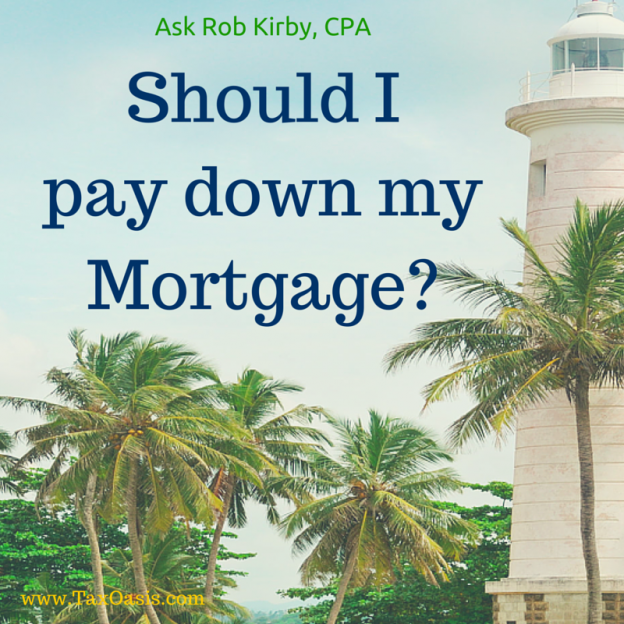 A: In general, I do not recommend paying down your mortgage. Our economy revolves around the principle residence mortgage – it is the cheapest way to borrow money. In most metropolitan markets, you can get a long term rate that is less than the average annual appreciation. Investing in your retirement plan provides you with an immediate tax savings of 37%. So $12,500 into your retirement plan saves you $4,625. That means it only cost you $7,875 to have $12,500. That’s a gain of $4,625 on an investment of $7,875 which equals 58% return on the first day. Plus you get the appreciation on the investment over time. Compare that with saving only 3 or 4% per year on mortgage interest if you paid down the mortgage with that money. Effective Jun 12, 2014, the IRS has changed the rules for written tax advice and the previous circular 230 disclosure is no longer appropriate. So now I can tell you that my advice must be based upon reasonable assumptions about the facts or the law, and reasonable representations, statements, findings or agreements. I am required to make reasonable efforts to ascertain and consider all relevant facts. When evaluating a tax matter, I may not take into account the likelihood of an audit or settlement. I hope you feel better about this, too. This entry was posted in Blog, CPA, Investing and tagged Advice, Investing, Mortgage on August 27, 2015 by c06578806.